One Sunday the girls and I decided to go on an adventure. Myl works on Sundays and we had just come back from holidays. 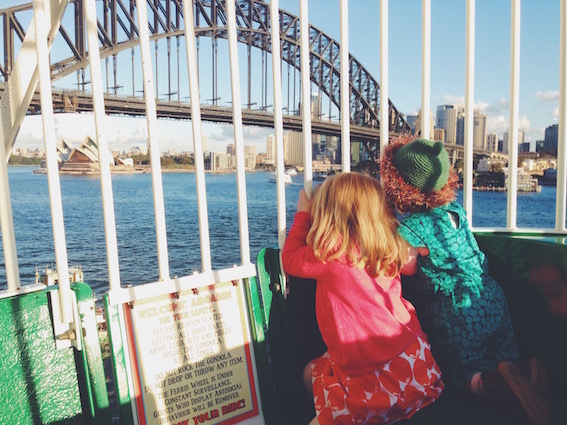 It still felt like holidays so we decided to take advantage of $2.50 Sunday tickets and headed into the city. It was a perfect warm winters day with a clear blue sky. It was begging to be enjoyed. It was an evolving plan as we caught the train. 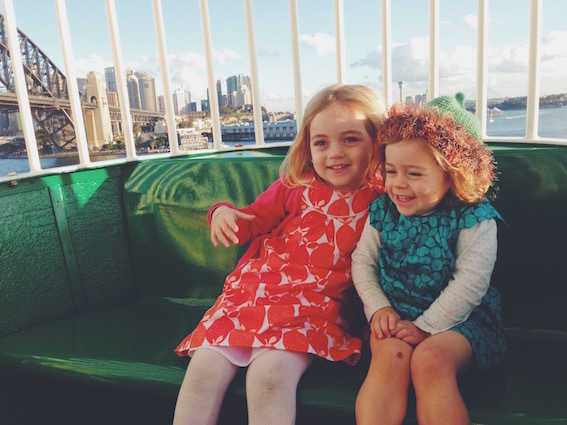 I wasn't really sure where we would end up but we decided after much chatting, (A two and four year year old, you can imagine the powers of reasoning) to go and ride the ferris wheel at Luna Park. 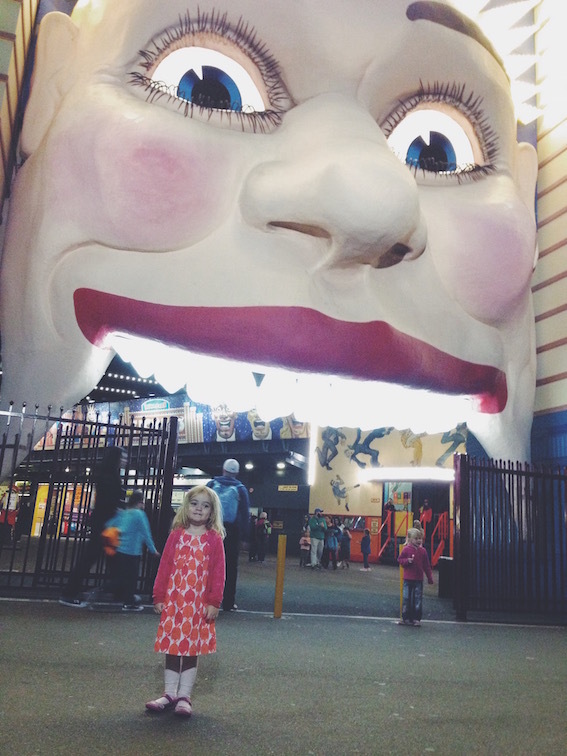 I had not been to Luna Park since high school. My brother and I went together while our parents were at a wedding reception. It was a really fun and unforgettable night. We have a rather embarrassing roller coaster photo to prove it. I had a lot of fun with the girls too. 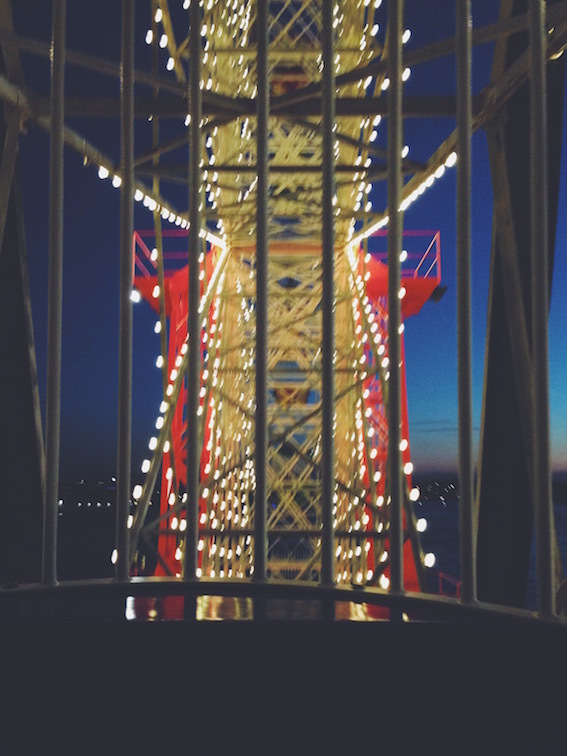 They liked the lights and the ferris wheel and the strange clowns. But no oh no they did not want to high five the strange clowns. We draw the line. We caught the ferry there and then across to Darling Harbour for pancakes. We probably got back a bit to late, stayed out a bit too long but we all had a tonne of fun. It was one of those outings that just works. 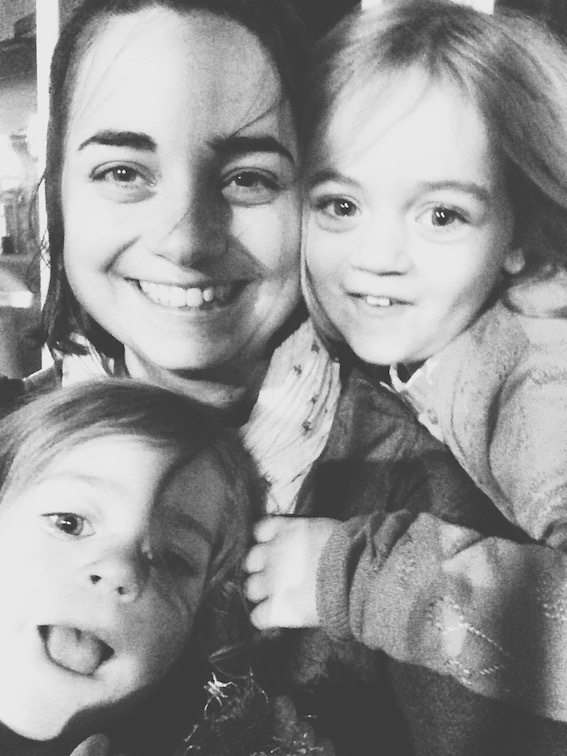 Sometimes I leave the house with the girls and wish I had not stepped out of the safety of the front door.